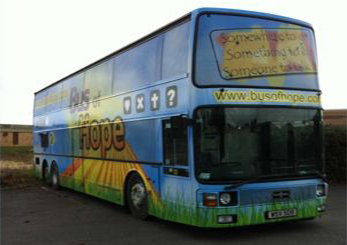 "God has directed us to see our first ‘Bus of Hope’ established in Newbury, Berkshire. Thereafter to see the realisation of our vision we are open to wherever God may lead us." Many individuals, and therefore communities, find themselves in situations where there appears to be no hope. 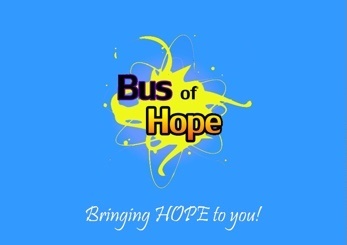 It is our mission to bring hope into those situations. We are committed to the biblical mandate that helping communities in need is central to the purpose of local churches, wherever they are. 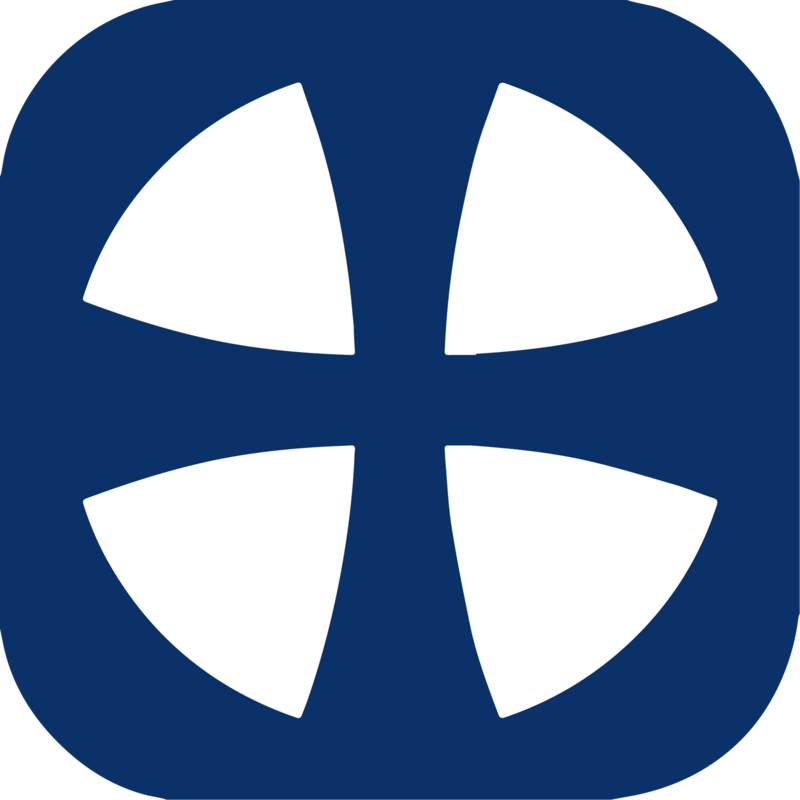 Healing On The Streets – H. O. T. S.
Our motivation for going out on the streets is the compelling love of Christ. Whether they are healed immediately or later, people who come to the bench for prayer should be left in no doubt that God loves them and Jesus has touched them. And when Jesus changes their physical or emotional state in Northbrook Street on a Saturday morning they have to face the fact that Jesus is alive today and in their lives. First we set up our flag and take a bench. People will stop to talk to us but we also reach out to as they walk by. The Lord gives us words of knowledge to help engage with passers-by. Sometimes people just want a blessing however for healing prayer we sit down on a bench and ask them about their condition and how it affects them right now. We then pray healing into them using authoritive prayer and ask them what the effect has been. We may do this a few times. We then tell them about God’s love for them and bless them. Yes! The Bible clearly says whenever we preach the gospel faithfully then signs and wonders will follow. Mark 16:17-18 “and these signs shall follow them that believe: in my Name they shall cast out demons....they shall lay their hands on the sick and they shall recover”.